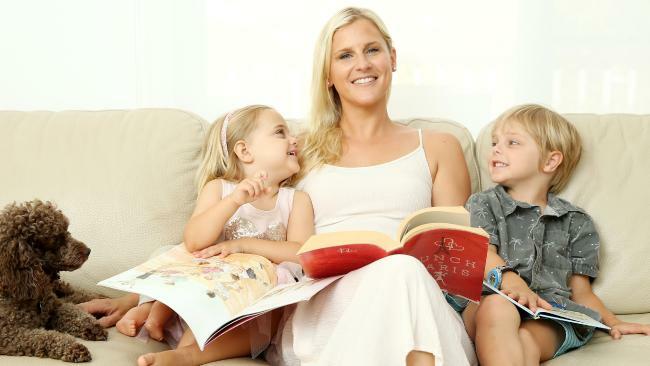 SUNDAY TELEGRAPH — Pictured at home in Newport today is Nyssa Carter, reading with her kids Mason 5 and Charlotte 3. Picture: Tim Hunter. The National Early Language and Literacy Coalition, comprised of some of the nation's top early education experts - including Early Childhood Australia, the Murdoch Children's Research Institute and Speech Pathology Australia - has banded together in an attempt to address the issue before it spirals further out of control. 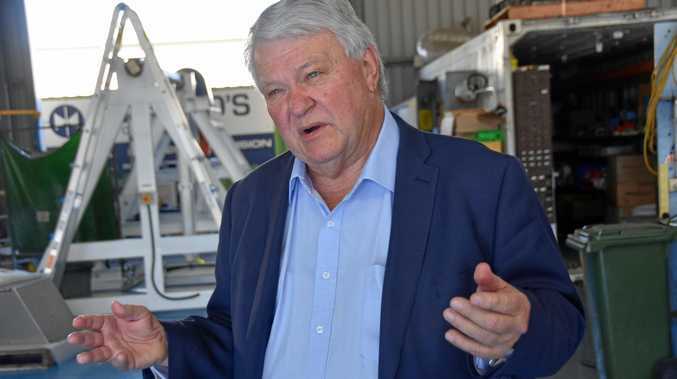 The coalition will present a policy platform to government this year which will likely include a call for more monetary investment in the sector. 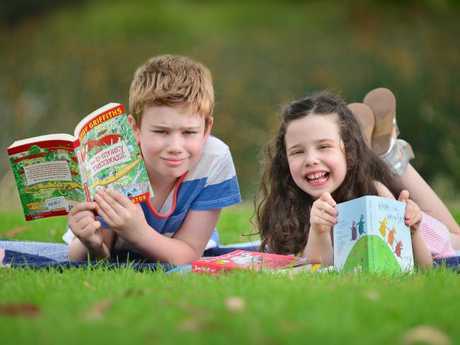 But engaging your children in conversations more - even from a very young age - and making reading time fun and interactive are some strategies that could help give your child the edge at school and claw back on our worsening literacy crisis. Sam Page from Early Childhood Australia said teachers were reporting more students were slipping in literacy and arriving at school underprepared. "We have a nationwide crisis in literacy but also the major concern is this growing equity gap that we have and there is not a lot of faith in the targeted programs to address that," Ms Page said. Australian Literacy and Numeracy Foundation co-founder and chair, Mary-Ruth Mendel, said parents needed to stop thinking teachers would take full responsibility for teaching reading to their kids. "Absolutely children are arriving at school less neurologically prepared to learn to become a reader than they have previously," Ms Mendel said. "Parents and kids need to get off the flat screens and get into rich rewarding narrative with their children so they are sitting in class on the first day of school and thinking 'I know what is going on'." Ms Mendel said Australia was "distressingly behind" in its funding for literacy, ranking third last of all OECD Nations. "It is indisputable that as a result of this lack of investment we are failing our most vulnerable children and communities," she said. According to the 2012 Longitudinal Study on Australian Children only 49 per cent of children aged 4 and 5 are read to at home 6 or 7 days a week. Digital parenting expert Kristy Goodwin said increased screen time was a contributing factor to poorer literacy skills among children. "Kids need serve and return interaction in order to improve their vocabulary and literacy skills and often with tech devices they don't get that," Dr Goodwin said. Education Minister Simon Birmingham said parents needed to take the most active role in helping improve their kids' literacy. "As parents, it's our job to find the time for reading and to set appropriate limits on the use of devices. We cannot expect teachers to work miracles without our support both when they reach school but also in the years prior," Senator Birmingham said. 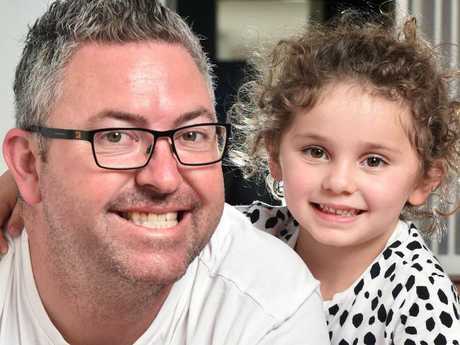 Mr Birmingham said just 15 minutes of reading each day with your child would provide around 500 hours of literacy learning before they started school. Opposition education spokeswoman Tanya Plibersek said the warnings from experts of a national crisis in literacy should be heeded by the Prime Minister. "In their fifth year of government, the Liberals still have no real plan to improve school performance - all they've done is cut schools by $17 billion," Ms Plibersek said. · Understand simple wh-questions, such as "what", "where" and "who"
· Follow more complex two pat instructions e.g. give me the teddy and throw the ball. · Talk about something in the past but may use - ed a lot e.g. "he goed there"
- Read a book with your child every day. Interact with your child throughout the reading process. Make it a fun and positive experience. - Talk to your child about everything. Everyday tasks, what they did during the day. Conversations help them improve their literacy. - Expose your child to new words and sounds each day. - Keep up the dialogue with their teacher or childcare educator about their progress. - Read in front of your child. A book, newspaper, magazine. If your child sees you reading chances are they will want to mimic the behaviour and also read. - Seek professional help if you think your child is behind where they should be for their age. 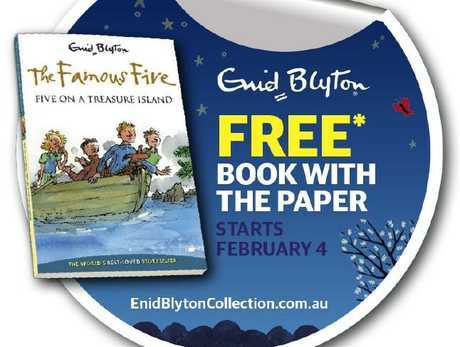 The Classic Enid Blyton Collection starts February 4.